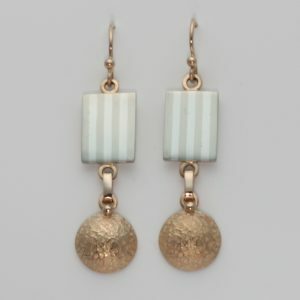 The square has an all over striped pattern and a detailed circle dangles from the square. 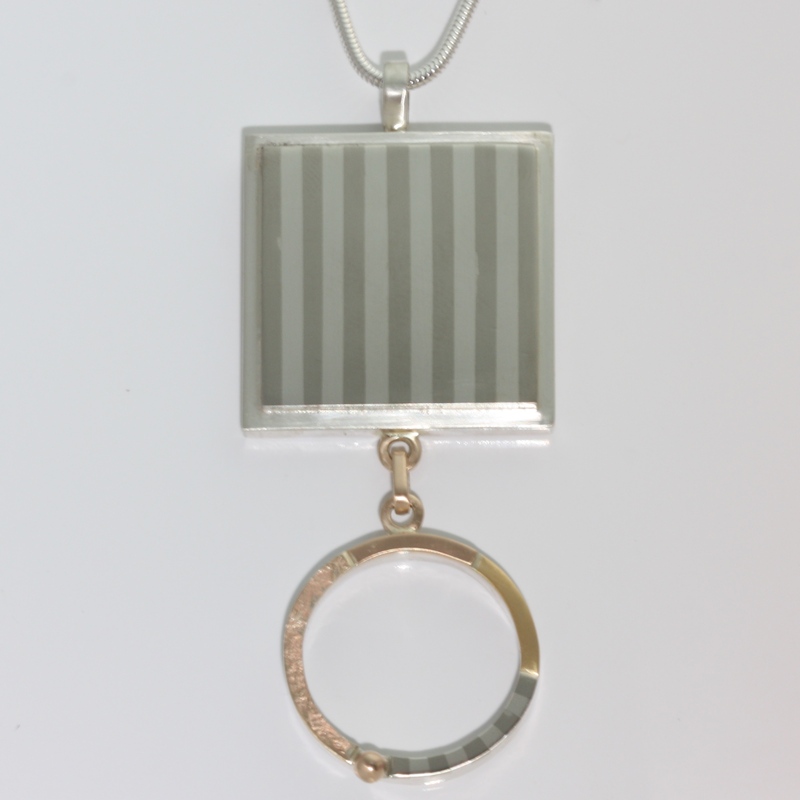 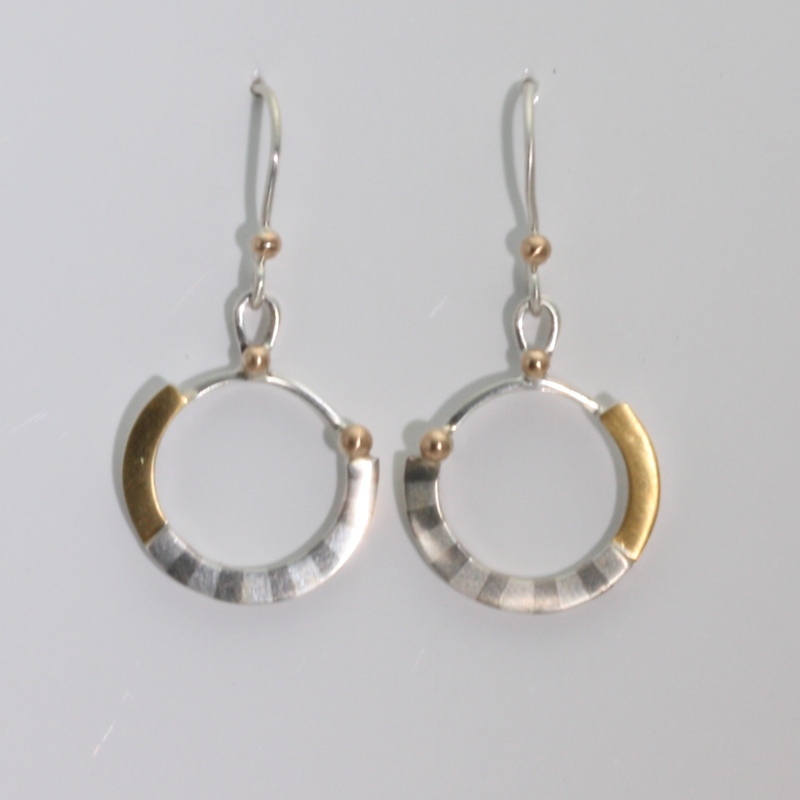 The circle has a striped pattern, 14k smooth & texture, and 22k. 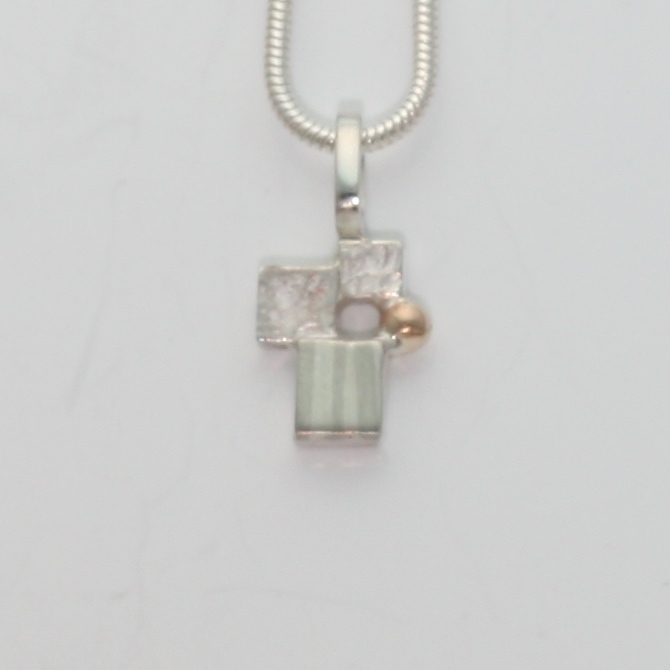 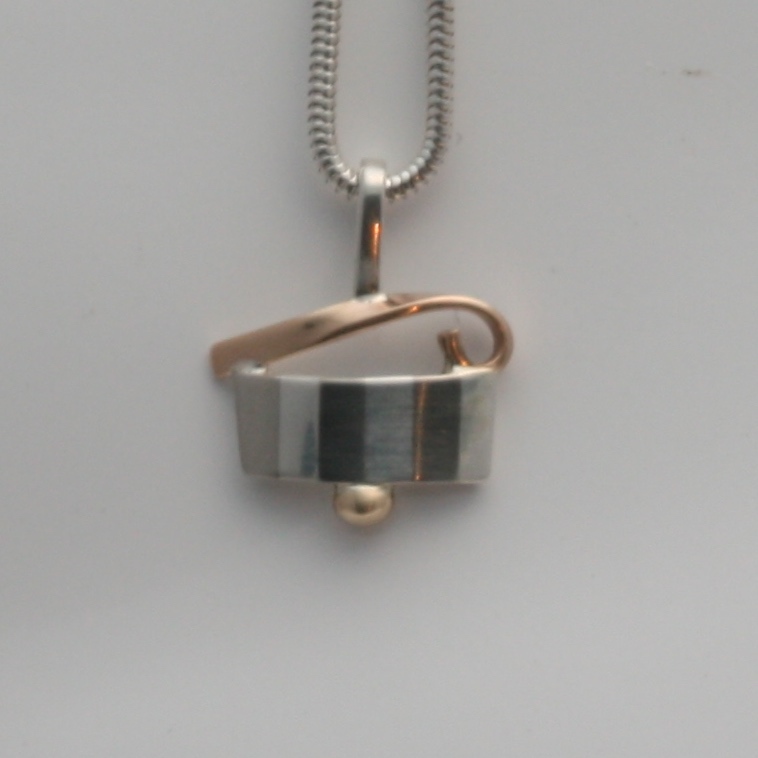 The Pendant come with a 30″ sterling silver chain.